Quite possibly the most photogenic month of the year. 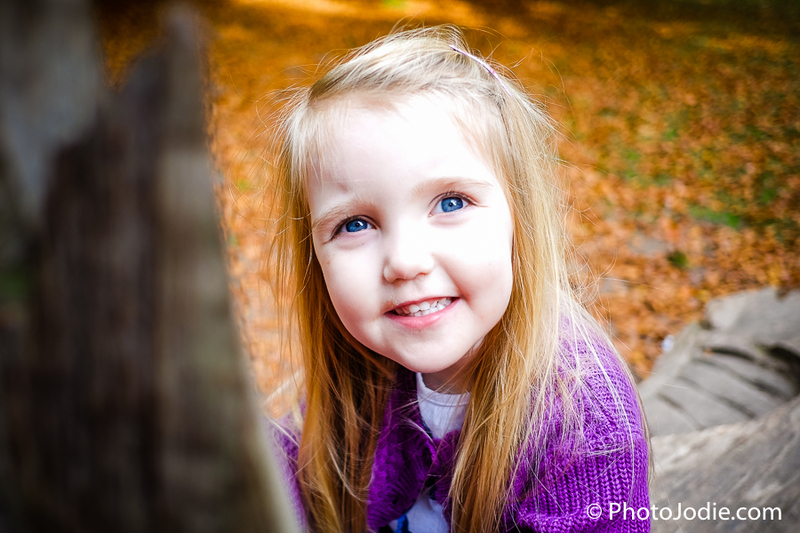 Add in a Little Lady that has just discovered the joy of riding her balance bike and a photographer mum with a new camera and new smartphone to play with and it’s been hard to keep us both indoors. 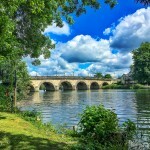 Yep, the Humphries girls have been on tour, discovering pretty parks and bike friendly paths in and around Maidenhead. 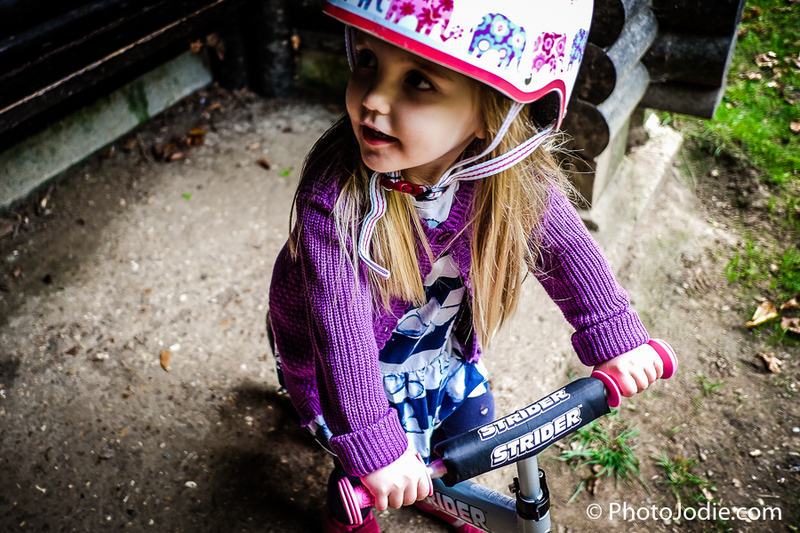 Local bike paths for toddlers. 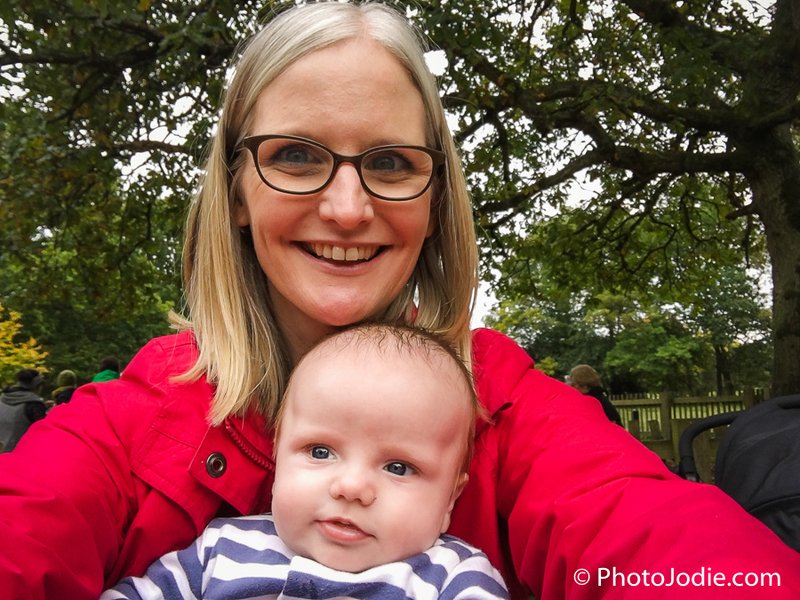 When you become a parent you realise that you need to find out more about your local area, (your knowledge of which bars have happy hour on which days is no longer as useful!). 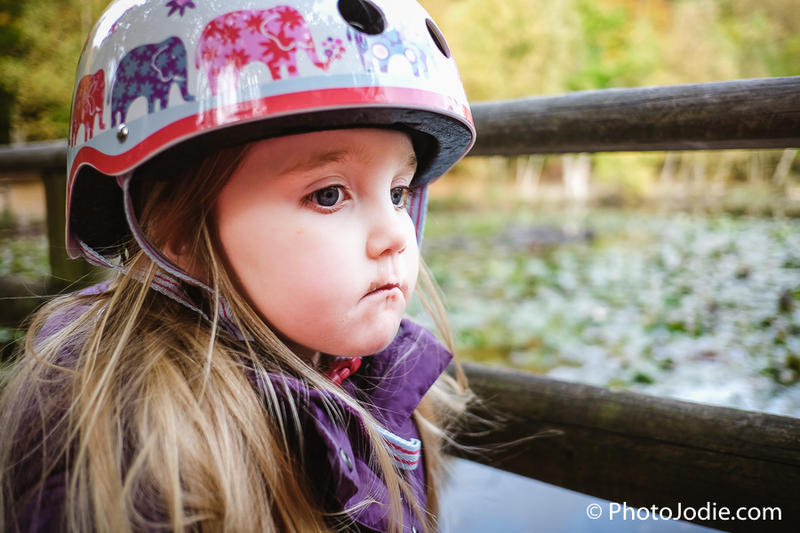 Although a lot of the parks and recreational spaces are now familiar to me having explored them when the Little Lady was learning to walk and toddle, I realized that we needed to re-discover them all over again now that she is mobile on two wheels of her own. 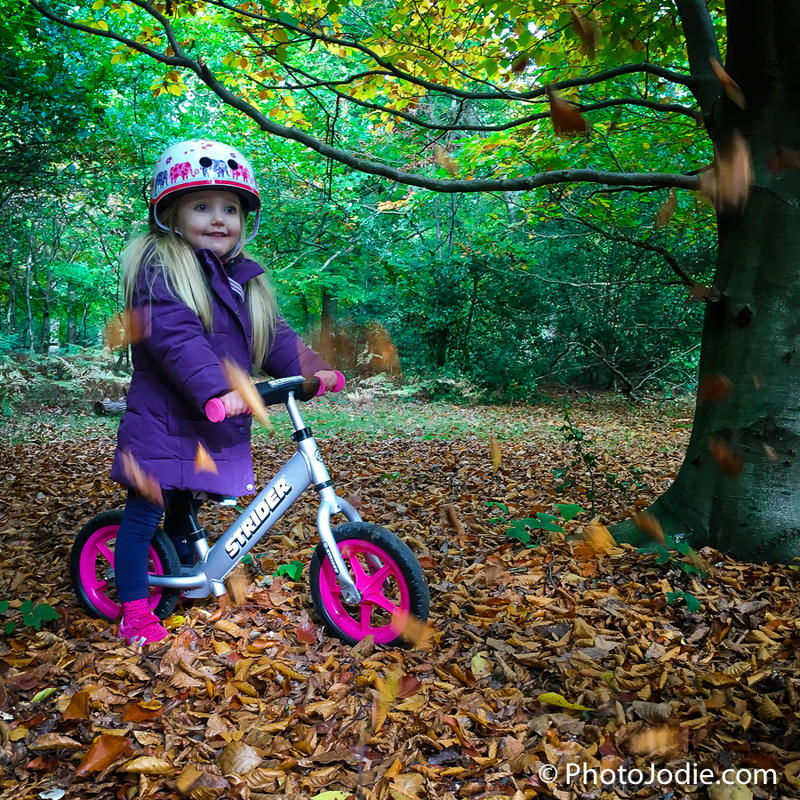 Having learned to master her balance bike at the age of 3 and a half, she likes to ride her bike and sometimes her scooter on pavements and paths. 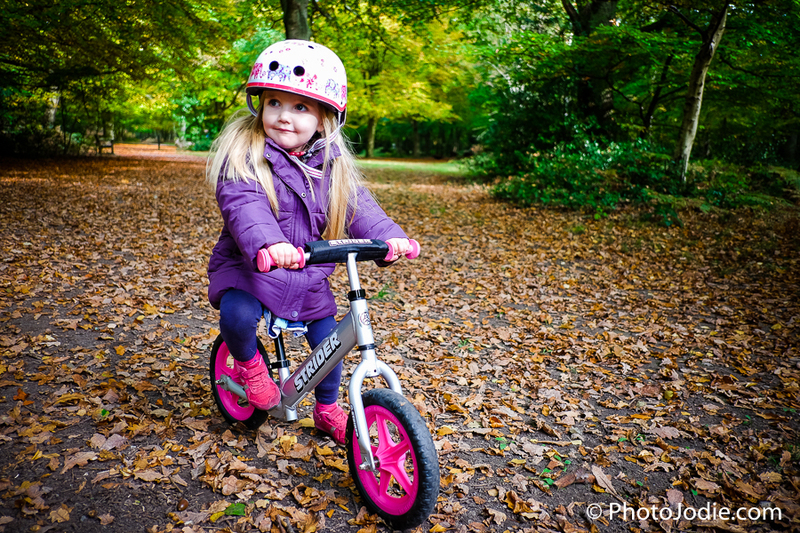 Small hills are fine, but she’s still getting her confidence up on the bigger hills (after a rather hefty head-over-handlebars fall at Braywick Park recently!) At the moment I walk alongside her with the Little Man (just 3 months old) in a pushchair. 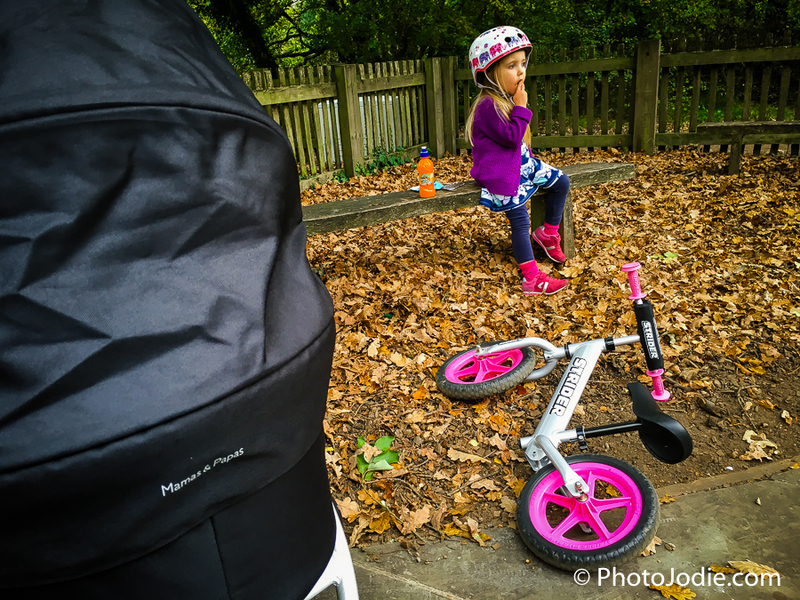 As she gets older we all plan to get bikes and do rides as a family, but for the moment all paths need to be (small) bike and pushchair friendly. 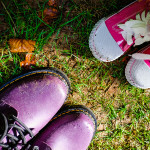 Down by the river in Marlow, lots of paths, playground, feed the ducks. I plan to explore as many of these and report back with photos here on the blog. 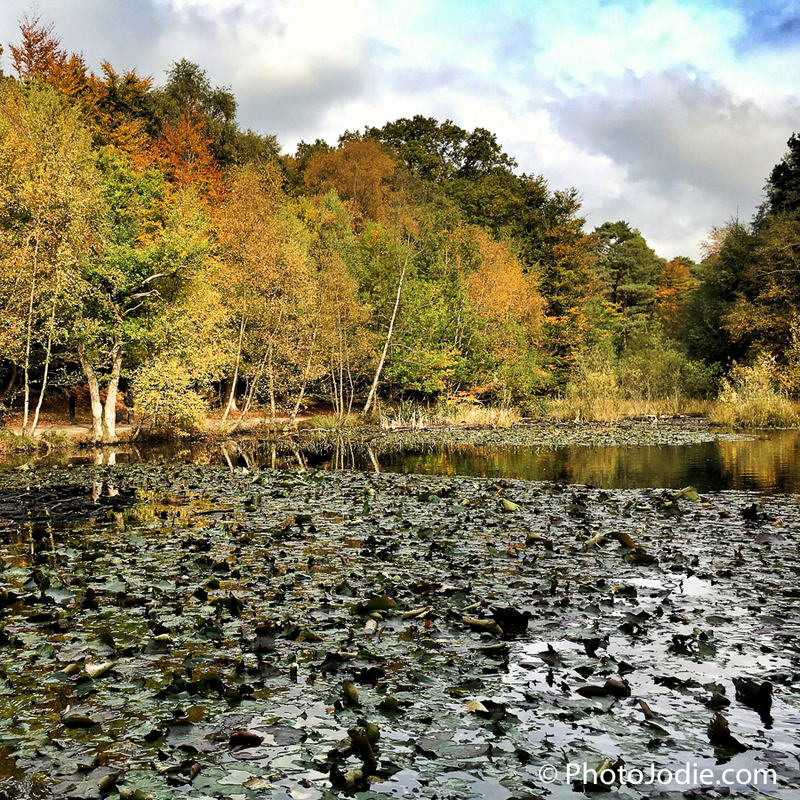 This weekend we headed over to Burnham Beeches, a National Nature Reserve and Special Area of Conservation, just 20 minutes drive from Maidenhead near Slough. 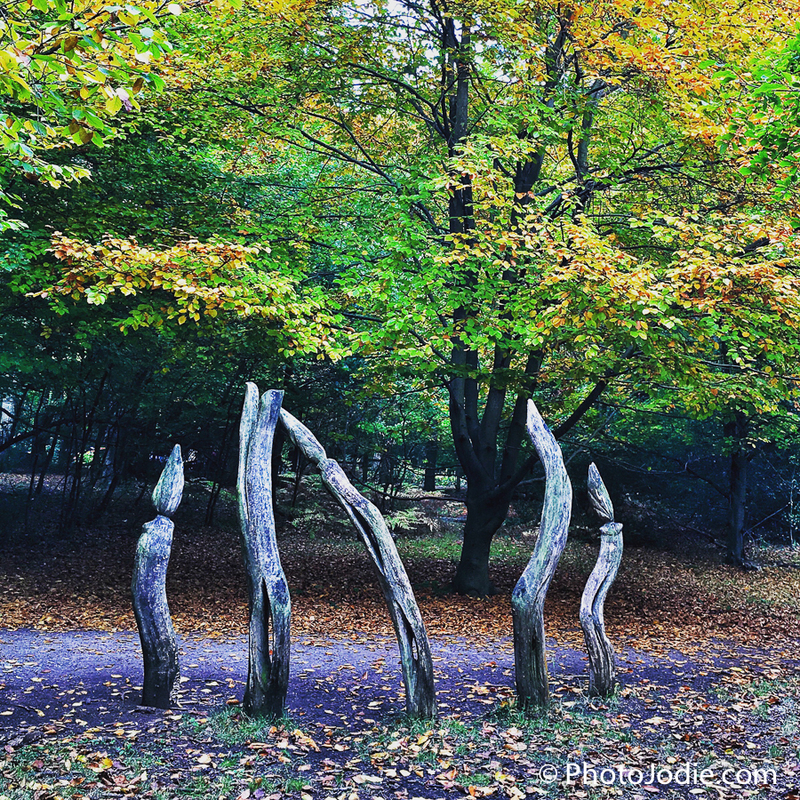 Wooden sculptures are dotted along the path. 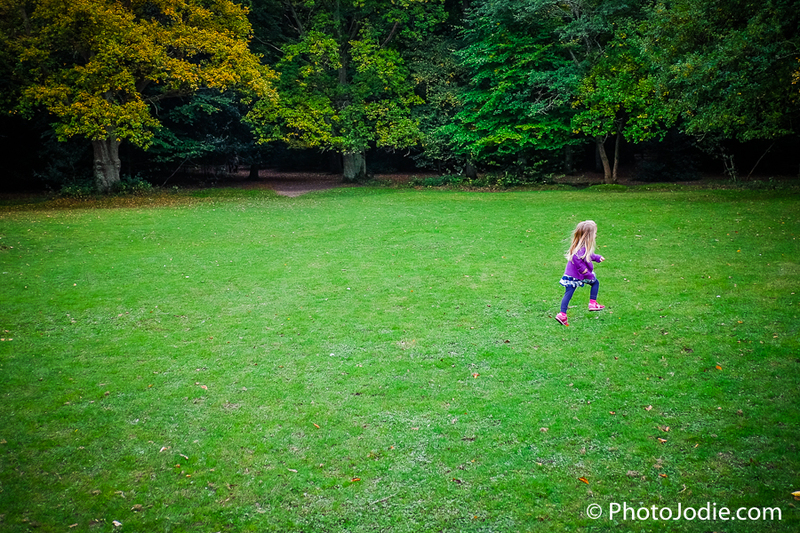 Although she rides her bike to nursery every day and we’ve been around several parks before, Burnham Beeches was different. 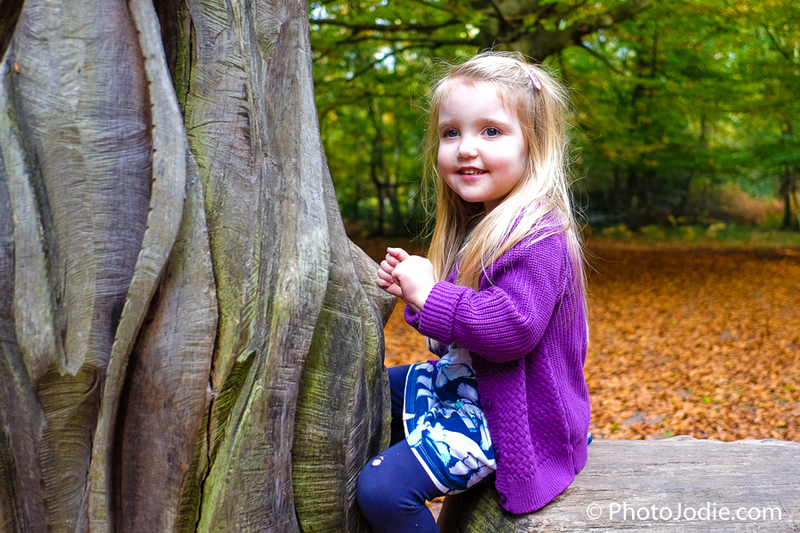 She loved the chance to explore off the path, stop and touch the wood carvings, or even just climb on top of things. It seemed to spark her inner explorer and it was great fun to watch. 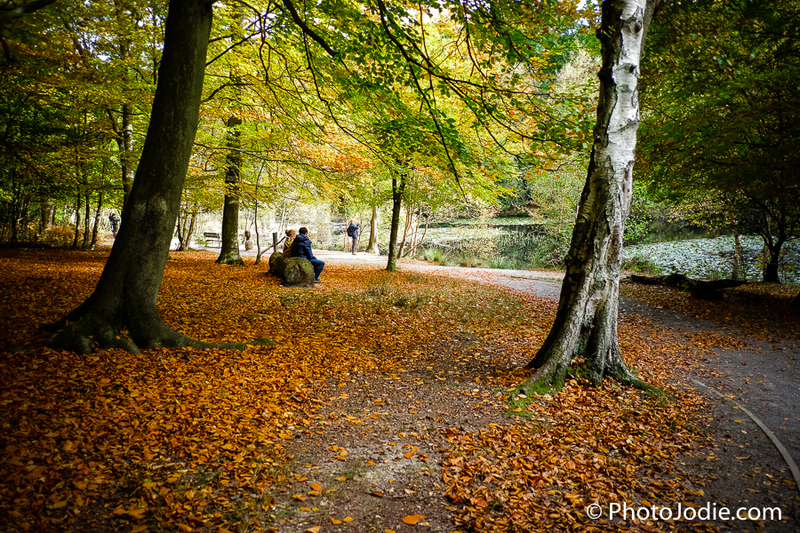 Plus, we were surrounded by the beginnings of autumn magic with the leaves on the trees just beginning to turn. 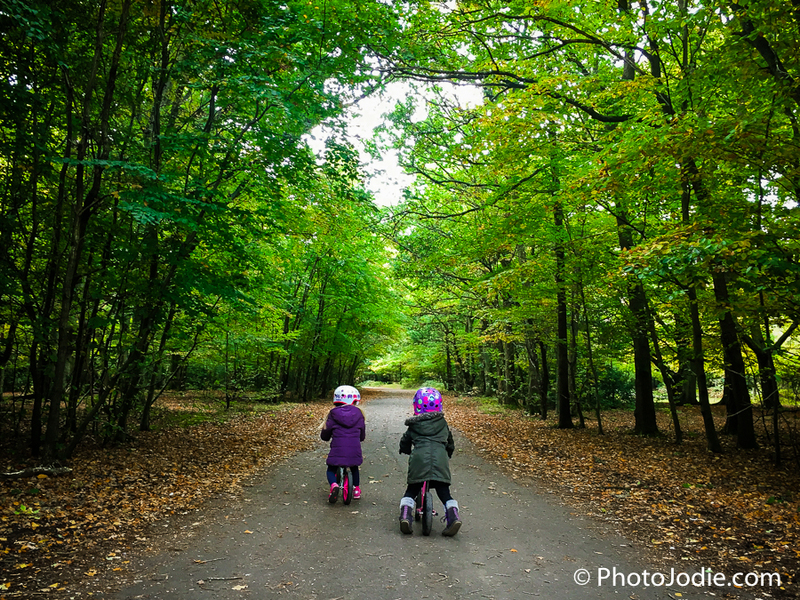 She jumped off her bike to play with her best friend in the autumn leaves. The bikes were often abandoned as they ran and skipped around. 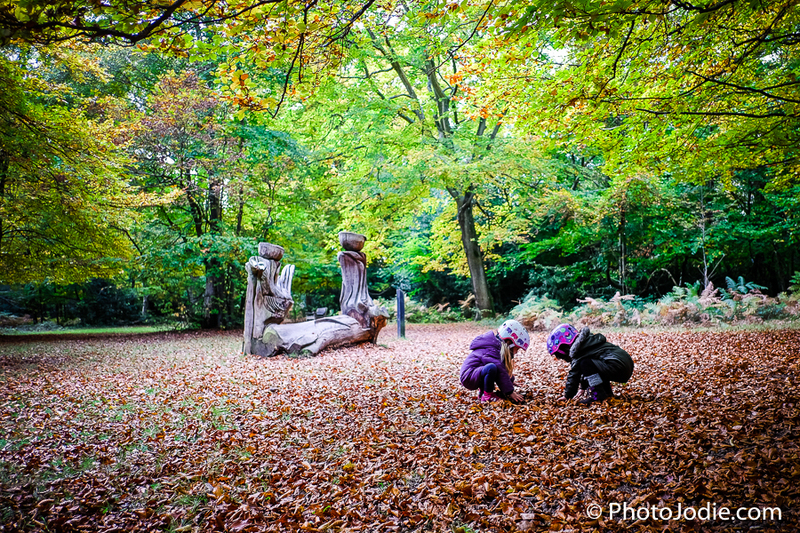 The girls enjoyed sitting on the wooden sculptures. Chuffed to bits with their mini adventure! 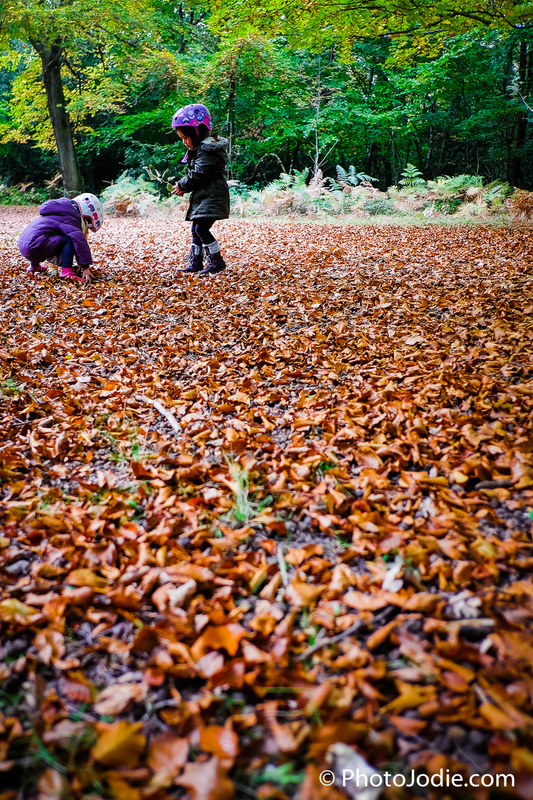 The little lady has been learning about Autumn at nursery so this was perfect for her. The paths were smooth, wide, and easy to follow. 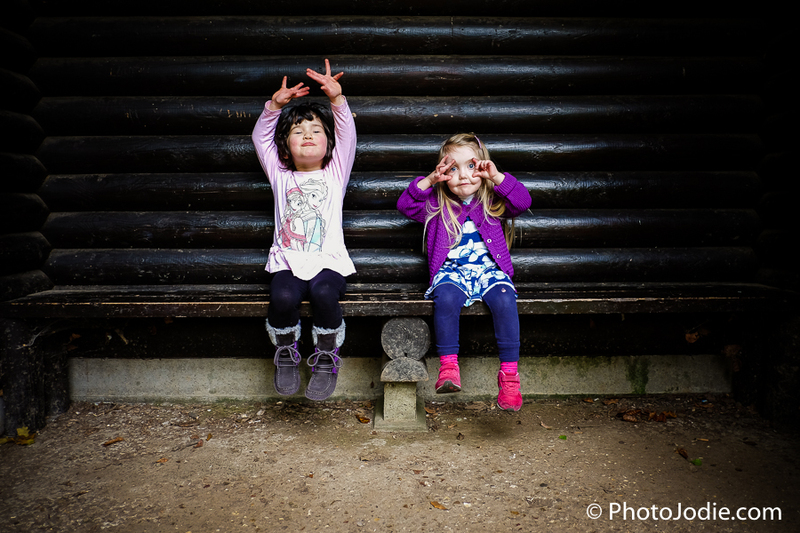 You get a camera out and THIS happens… well done girlies! 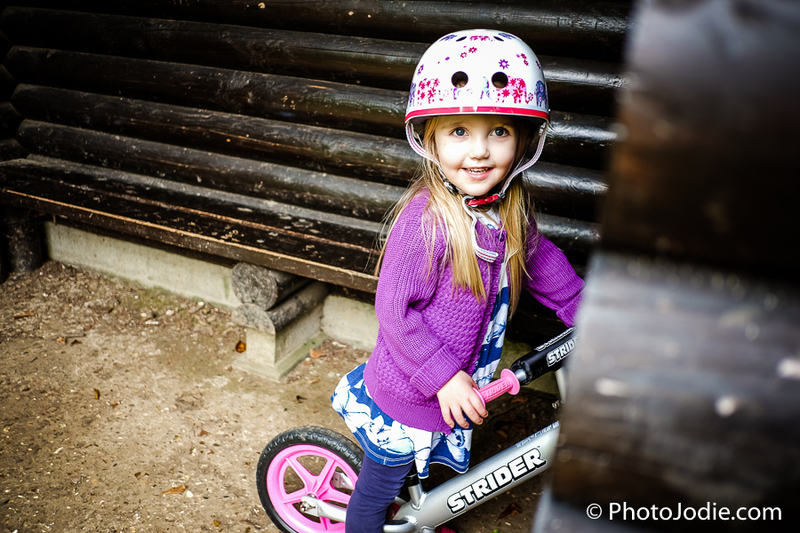 Part of the fun at the moment is taking the bike wherever you can, even into the wooden shelter. Two wheels make it fun to explore everywhere. There were some great big open spaces for her to run around in too. There she goes… there she goes…. 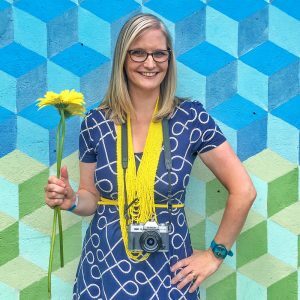 wait… should I put the camera down and catch up with her??! We pottered around the top half of the trail and went down to see the ducks (which I hadn’t bought any food for, #MummyFail!). 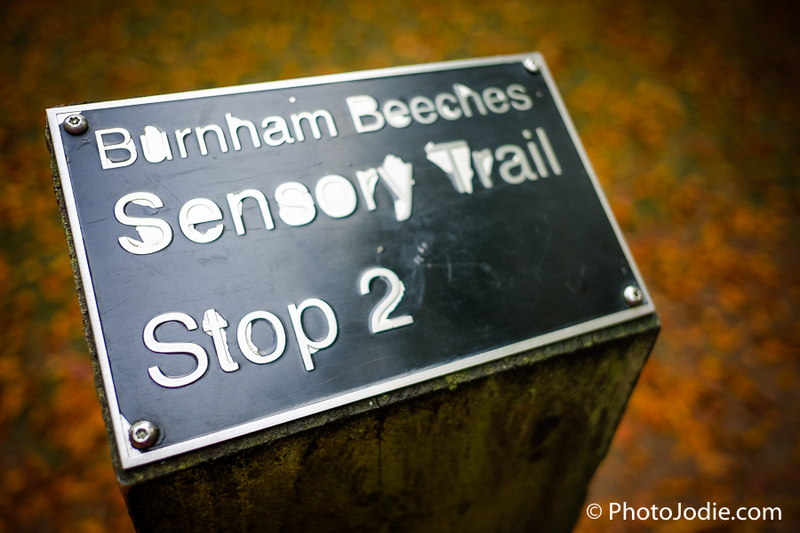 Next time we’ll follow the whole trail and download the audio guide from the Burnham Beeches website as there’s lots more to discover. The autumn leaves were starting to turn but there’s still lots to go. 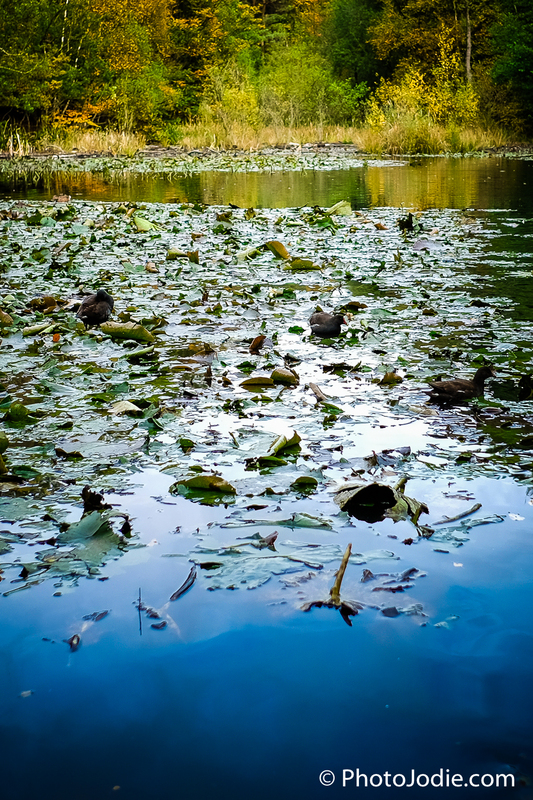 Down at the duck pond we stopped to take a look at our surroundings. This was taken on the iPhone 6s. This is the face of someone whose mum forgot to bring food for the ducks! On the way back from the duck pond the little lady was keen to explore again, even re-visiting the same places on the way back. Mummy, we might see some creatures like in the Gruffalo! Looking out for ‘creatures’. Check out the hole in her leggings. Everyday she seems to wear through another pair! I could have cropped it out of shot, but this is just the way she is. Will we see an Owl? or a Big Bad Mouse? Lovely photo… apart from the tomato ketchup round her mouth! Haha, but that’s kids for you! 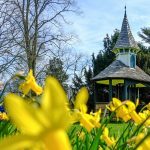 Hope these images have sparked a bit of interest for you and that you’d like to go and explore too. 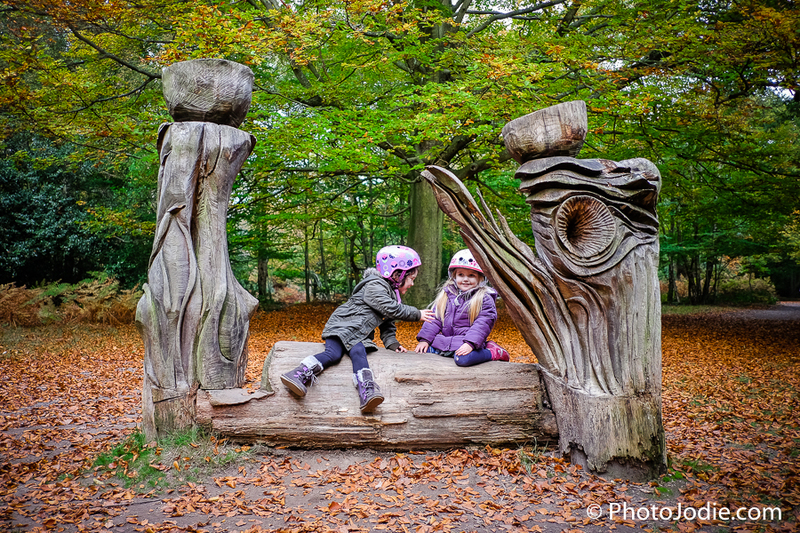 Burnham Beeches is open from 8 in the morning to around 4pm in Winter. If you type Burnham Beeches into Sat Nav you’ll get taken to the golf course! Type in ‘Lord Mayors Drive’ instead. This will bring you right to the heart of it next to the Main Common, a large grassy space with parking alongside. It’s a narrow windy road to get there from Maidenhead – the kind where I find myself breathing in every time a car passes me. Not much I can do about that, but thought I’d mention it anyway! When you get there, don’t panic and grab the first space you see (like I did) as you’ll be a fair walk away from the café and the start of the woods. 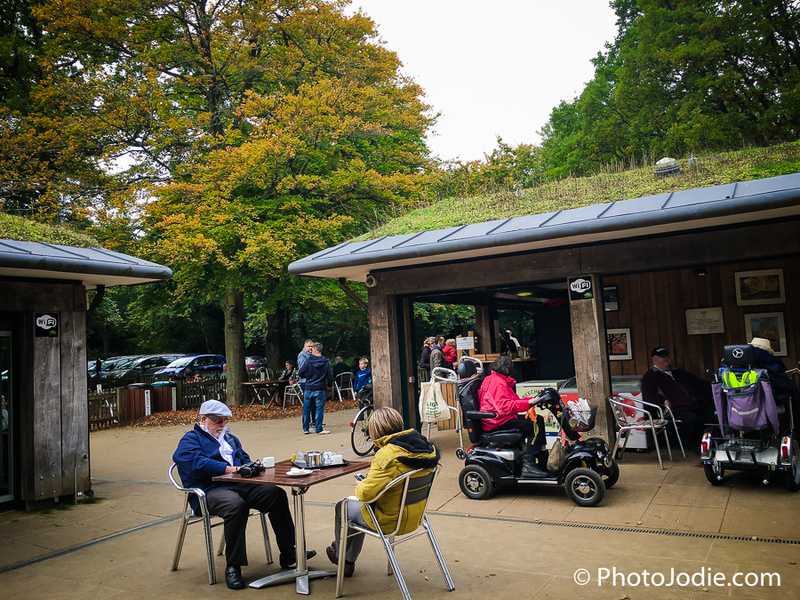 Instead, drive up past the café area and head for the ‘over spill’ car park area. That way it’s much easier for you to unload with pushchairs and other paraphernalia. You can park all day for £2, so try and remember to bring some small change with you. I accidentally arrived at lunchtime which meant that the café was fairly busy but we managed to find somewhere to sit and we enjoyed a sausage sandwich and a cuppa for £2.95 (bacon sandwiches available too). There is a small cafe and Visitors Centre. Selfie with the Little Man. No luck trying to get the Little Lady in shot, she was busy sitting on her OWN bench. Little Miss Independent found her own place to sit while I sat and fed her brother. There is a Sensory Trail, a History Trail and a Geology Trail as well as paths for varying mobility. Click the link below for a downloadable PDF of the sensory trail route. If you’re doing ‘proper’ cycling then check the map on the website as bikes aren’t allowed in all areas and paths, so plan your route before you start to cycle. 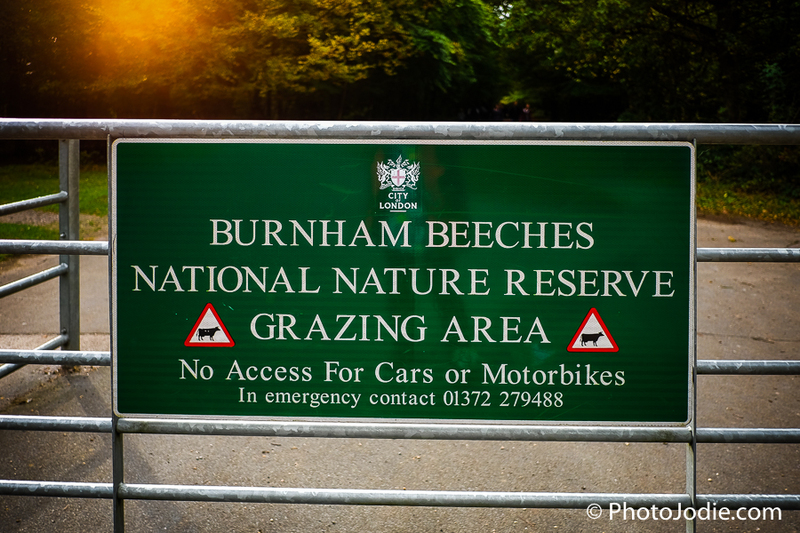 You can find more information on the Visitors Information section on the Burnham Beeches website. 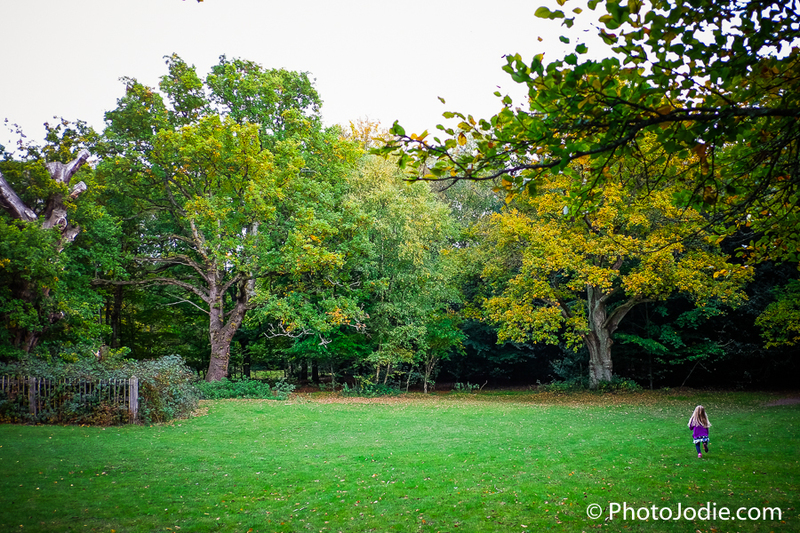 I visited Burnham Beeches on a Sunday afternoon to explore. 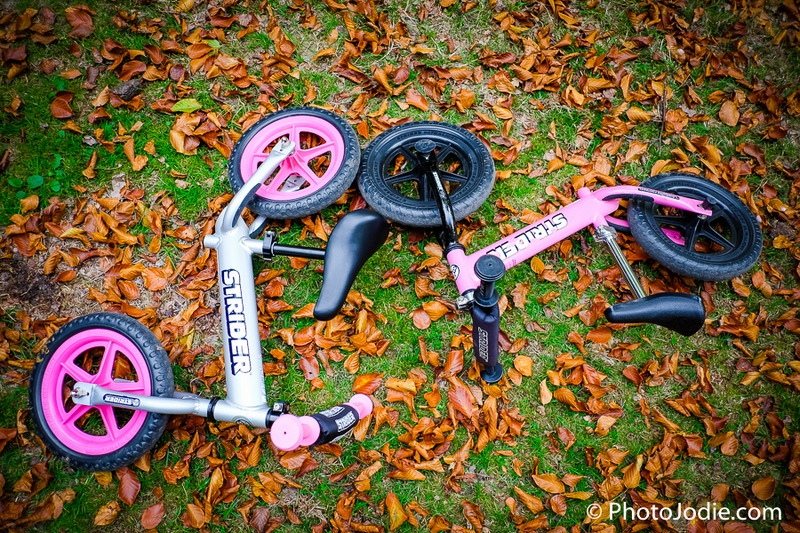 I’m not affiliated to Burnham Beeches or Strider bikes in any way. 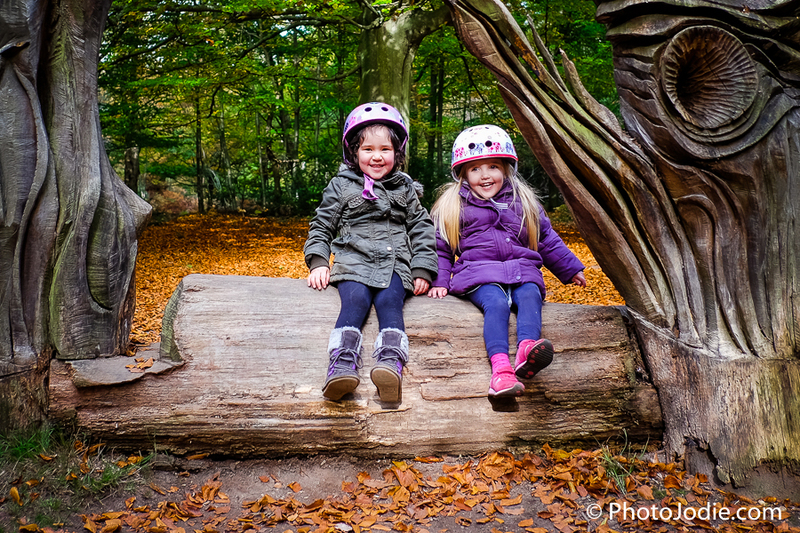 I hope that hearing about our mini adventures will help other Maidenhead families get out and about. I’d love to hear of other favourite foot paths and trails so please leave a comment if you have any other ideas I can include here. If you’d like to get my posts delivered into your inbox then just enter your email details below. Thanks for reading.